Your face and the texture of your skin are the primary things to get noticed when you go out, and it often feels troublesome to enter a party or a gathering with those annoying, never leaving marks on your face. Here are some home remedies for whiteheads which have been experimented well and brought wonderful results. Follow these tips and the question of “how to get rid of whiteheads” will never ever rise again. To put a permanent full stop to any problem, the key is to know the reasons behind its occurrence and then to diminish the causes so that the problem would not erupt again. Whiteheads are caused when your sebaceous glands produce excessive oils and the resulting sebum does not flow freely on your skin but gets settled in your pores blocking them and making them inactive. This leads you to a condition called blocked pores or clogged pores. The reason(1) for whiteheads and their occurrence mostly on the ‘T’ zone, that is nose chin and forehead is because these areas are mainly subjected to excessive production of oils. The causes of whiteheads could be many but they ultimately bring it to a condition of “clogged pores” which is the prime reason you become a victim of whiteheads. Know the reasons first so that you can prevent whiteheads way before they bother you. There are various reasons for the emergence of clogged pores. Foods that cause greasy skin like Dairy products, Refined carbohydrates, inflammatory fats. Whatever might be the reason, you always have various home remedies for whiteheads which come to your rescue whenever you face the problem. You can choose the most common ingredients which are available at the stores to implement the best treatment for whiteheads. 8 Best Remedies To Remove Whiteheads! Keep following these amazing remedies on alternate days and see how your whiteheads can disappear within 2 weeks. As the primary reason for the eruption of whiteheads is the closure of pores, you have to first make the pores open and free so that the dirt, bacteria or any kind of dead skin or oily granules do not invade the pores and settle into them. The only best way to make your skin pores active and alive is to expose your skin to hot steam. Take some water in a large vessel and boil the water until it becomes steamy enough. You can add some essential oils or herbal oils to the water after it is boiled. You can also add 2 spoons of turmeric. Expose your skin to the hot vapours that arise out of this vessel by closing your vicinities with a huge blanket. Honey and sugar are those ingredients which are very handy in the kitchen. To apply this amazing home remedy, all you need is a handful of sugar, one tablespoon of honey and a few drops of lemon juice. The sugar granules being rough in texture will generate the necessary friction and remove the whiteheads on the nose that has been sitting for a long time. Honey is used so that it forms a viscous texture and make it easy for the whiteheads treatment. 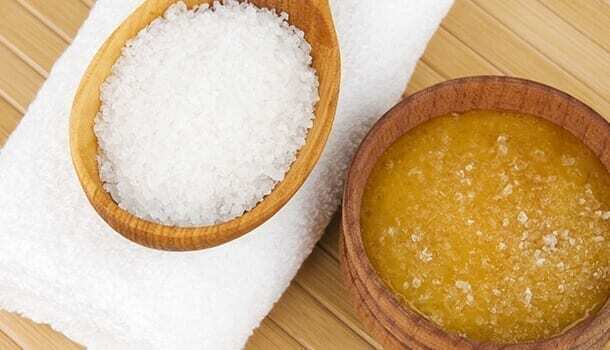 How to Apply Honey and Sugar Scrub? Mix all the ingredients well and use this mixture as a facial scrub. Apply the scrub at those areas where the problem persists. Do not be gentle and make sure you scrub the mixture hard to the whiteheads on the nose as they are stubborn and require a harsh treatment to remove them. 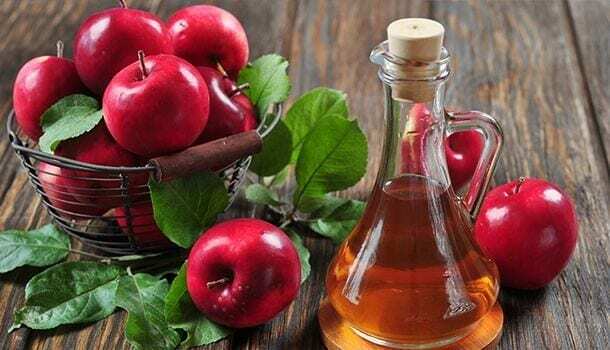 Apple cider vinegar contains vitamins B1, B2, B6, Biotin, Niacin, folic acid, Pantothenic acid and Vitamin C. It works very well for the whiteheads treatment because, in addition to all the vitamins and minerals, it also contains alpha hydroxy acids that help in removing dead and dry skin. Apple cider vinegar will be easily available at your nearby supermarkets or you can order apple cider vinegar online. You can directly apply the liquid to the areas of whiteheads on face or whiteheads on the nose with the help of cotton balls. You can also prepare a mask by mixing one teaspoon of apple cider vinegar, two teaspoons of honey and one teaspoon of Baking Soda. Apply this mask all over your face and let it sit for 15 minutes. Rinse it off with cold water to close the pores and pat dry. For better results, make sure that you apply this face mask after exposing your face to steam for a specified period. Following this regime weekly twice will be the best way to get rid of whiteheads. If travelling long distances is an essential part of your daily routine, then you succumb to the rising pollution and this will make your skin subjected to all kinds of bacterial infections. You cannot avoid travelling, and at the same time, you have to take care of your beautiful skin. You can follow this beauty tip as a cure for whiteheads. How to Apply Garlic for Whiteheads Cure? All you need is 2-3 garlic cloves, 1-2 tablespoons water, rose water and cotton pads. Take some water in a small bowl and crush the garlic cloves in the water. Add rose water to this and apply this water over the problematic area, rub the garlic water more for whiteheads on nose. Let the garlic water remain on your face for 10 minutes. 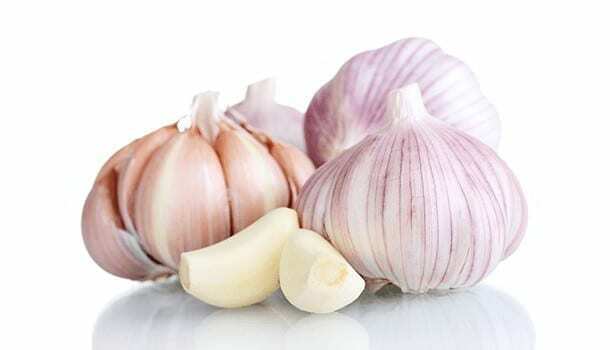 It will let your skin absorb the antiseptic properties of garlic water. This will eliminate any kind of bacterial infections that your skin has been susceptible to. While essential oils are used for a variety of skin and hair treatments, they are most effectively used to treat the whiteheads because they eliminate the actual problem of what causes whiteheads – the clogged pores! As whiteheads are caused because of the clogged pores, essential oils when applied to your skin will reduce the production of sebum making your skin free from becoming much oily and greasy. But, you need to mix the essential oils with the required amounts of carrier oils. Carrier oils are also known as base oils or vegetable oils. They are needed to be mixed with the essential oils before applying them directly on to the skin. Adding carrier oils will dilute the essential oils and prevent any side effects that may occur from direct application of essential oils. This is one of the best whiteheads treatment at home because it naturally prevents clogged pores to occur on your skin which is the leading cause of annoying whiteheads. All you need to do is mix few drops (50 ml) of essential oils with a carrier oil (100 ml) to dilute it and apply it to your skin. Some of the essential oils that would be very beneficial in diminishing the reason for whiteheads are tea tree oil, basil oil, jojoba oil, lavender oil, Rosemary oil, lemon oil, Chamomile oil, Geranium oil and Oregano oil. Jasmine oil and Copaiba oil. 6. 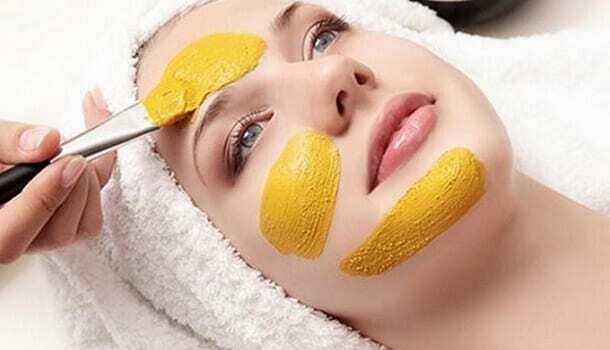 Turmeric Face Pack – One Of The Best Home Remedies For whiteheads? This is not only the best way to get rid of whiteheads but also acts a beauty tip to acquire clear and glowing skin free of acne. It also further prevents your skin from becoming oily. So gradually following this tip once a week can eventually lead to a permanent cure for whiteheads. To apply this pack, you need 1 teaspoon of turmeric powder, 1 teaspoon curd, few drops of rose water, and 2 teaspoons of lemon juice. Make a smooth paste with these ingredients and apply this mask all over your face. Make sure your skin is clear of all the dirt before you apply this face mask. You can apply this mask for whiteheads on nose and whiteheads on the face. Leave the face pack and let it dry completely. Do not rinse it off with water after it gets dried completely. Use your fingers to rub off the dried face pack so that whiteheads come off along with the dry face pack. Splash some water gently over your face and pat dry with a neat and clean towel. 7. 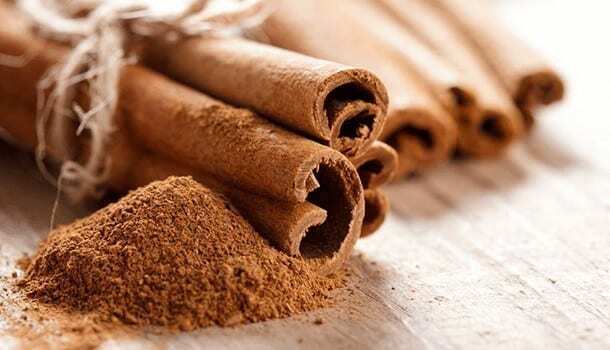 Why Is Cinnamon The Best Among All The Home Remedies For Whiteheads? This face pack has been especially been made to cure whiteheads because cinnamon can percolate deeper into the cells of your skin and remove the dead cells that have been causing you clogged pores. Adding baking soda and lemon juice to this makes it one of the most effective home remedies for whiteheads. This homemade face pack can be prepared with some basic ingredients present in your kitchen. All you need is cinnamon powder (2 teaspoons), baking soda (1 teaspoon) and a few drops of lemon juice. Mix cinnamon powder with one tablespoon of baking soda and add water to this. Apply the paste where whiteheads are visible and wait until it gets dried up. Rinse it off with water and apply a suitable moisturizer to prevent skin dryness. This face pack is the best of all the home remedies for whiteheads because of the combination of cinnamon, baking soda and lemon juice all of which show an amazing impact on whiteheads. Another reason why tomato face pack is the best way to remove whiteheads is that tomato contains astringent and antifungal properties which will help in treating clogged pores and making them free. It will very effectively resolve to eliminate whiteheads on face and whiteheads on nose. To prepare a tomato face mask all you need is a small ripe tomato, fullers earth which is also commonly called as (Multani mitti), You can easily find this at general stores. Mix one tablespoon of fuller’s earth with approximately two tablespoons of tomato juice which has been squeezed out of the tomato. Blend this mixture in the form of a smooth paste, and apply it all over your face. Let it dry on your face, then you can rinse it off with lukewarm water. For more effective results, you can apply this face pack once in three to four days. The paste made out of fenugreek leaves is very commonly used for hair growth but it is very astonishing to know that fenugreek paste can also cure whiteheads because it contains anti-microbial properties which will help in eradicating the clogged pores which are caused due to bacterial infections. Out of all the home remedies for whiteheads that have been listed so far, fenugreek paste is the most effective remedy and also the easiest remedy because all you need is some fenugreek leaves and some water to say goodbye to your whiteheads. Blend a handful of fenugreek leaves and mix them in water to make a thick paste. Apply this mask on face and leave it for 15 minutes after which you can rinse it off and pat dry. There are of course natural home remedies for whiteheads but if that does not satisfy you enough, you can also use some chemicals to get rid of whiteheads. But these chemicals are to be used under proper medical prescription as they have a strong effect on the skin because of their high and low pH values. Apart from natural home remedies for whiteheads treatment, there are certain chemicals that can be used which is the best way to get rid of whiteheads. These acids are usually used as daily exfoliates for cleansing. Benzoyl peroxide – Benzoyl peroxide is so chemically powerful, it not only helps in clearing the blocked pores of dirt, it also helps in destroying all kinds of lesions like blackheads, whiteheads, and other blemishes which are caused due to oily skin which is the reason for whiteheads. Salicylic acid – Salicylic acid is a crystalline organic acid, which also helps in reduction of excessive oil production in your skin. Azelaic acid – Azelaic acid(2) is available in the form of ointments and creams and is very commonly used to treat bumps, lesions, blackheads and swellings caused due to various reasons. So, it obviously works effectively in whiteheads treatment as whiteheads are a form of acne. Glycolic acid – Glycolic acid is one of the forms of alpha hydroxyl acids, which helps to remove the unnecessary dead skin present on your skin surface and clears your blocked pores. The next time your mind pops up with the question of “how to remove whiteheads”, you can follow any one of the following remedies or a mix of two or three home remedies for whiteheads, which is going to fetch you an amazing result within two to three weeks.